Sunway Putra Tower is an office tower which forms part of a 3-in-1 mixed-use development comprising a retail mall, a hotel and an office tower. It is mainly occupied by Public Works Department (Jabatan Kerja Raya) which is under the Ministry of Transportation. 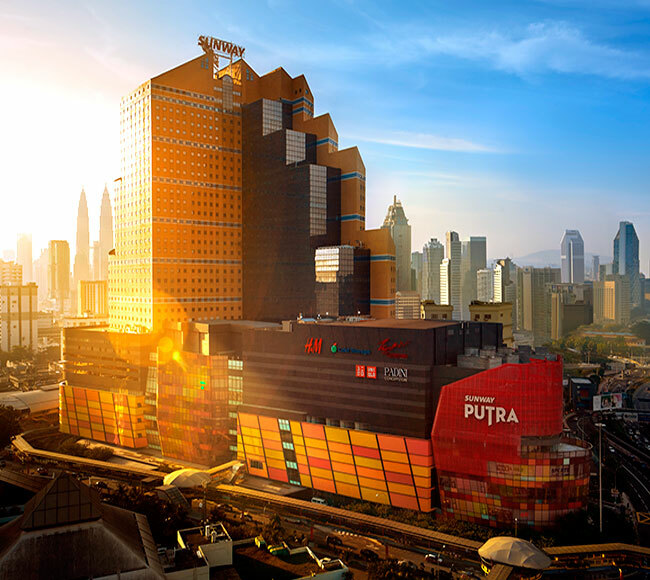 Sunway Putra Tower is strategically located in Kuala Lumpur’s commercial district and a stone throw away from one of Malaysia’s premier convention centre, the Putra World Trade Centre (PWTC). It is easily accessible via major highways and well served by public transportation such as the STAR Light Rail Transit (LRT), KTM Komuter Train and bus. All these infrastructures and facilities adds value to the well-established office asset.